The weather is turning cooler, the sun is setting earlier, kids are back to school, and football season has started - I think it's time to start making soup! I make soup every Sunday and once it cools, I immediately dish it into 5 single serving containers. Lunches for the week - done! Over the past few years I have made close to 50 different soup recipes. I have a few favorites that I go back too quite often, but I also am always in search of a new recipe. 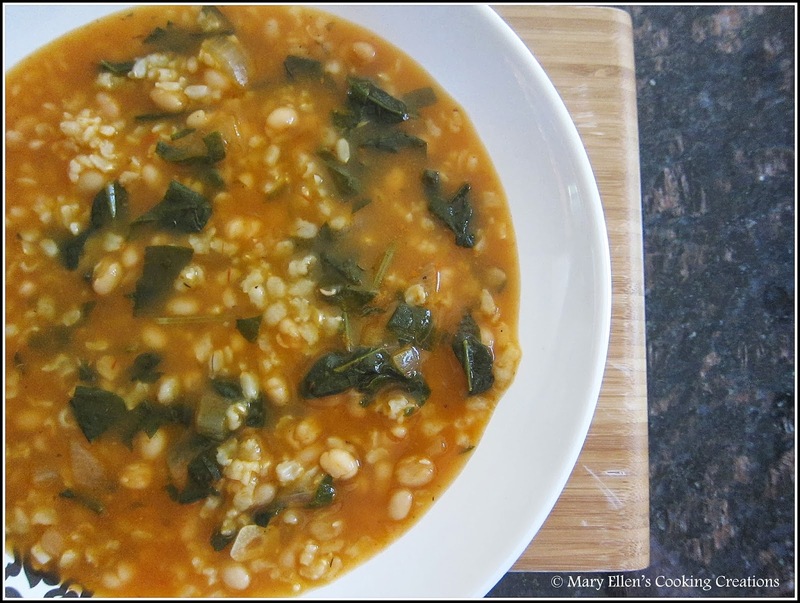 I have several recipes pinned to my Food board on Pinterest, including this one that I tried last weekend - Savory Bean and Spinach Soup. The recipe was from Fitness Magazine, and was written as a slow-cooker recipe. I'm not a fan of making soup, or much of anything really, in a slow cooker. I like to build the flavors in a soup, and feel you can only do that with stove top cooking, so I took this recipe and turned it into a stove top recipe. Even though I cooked this in a pot, it still only took just under an hour. Most of that time was the soup simmering as the rice cooked; active time was about 20 minutes. 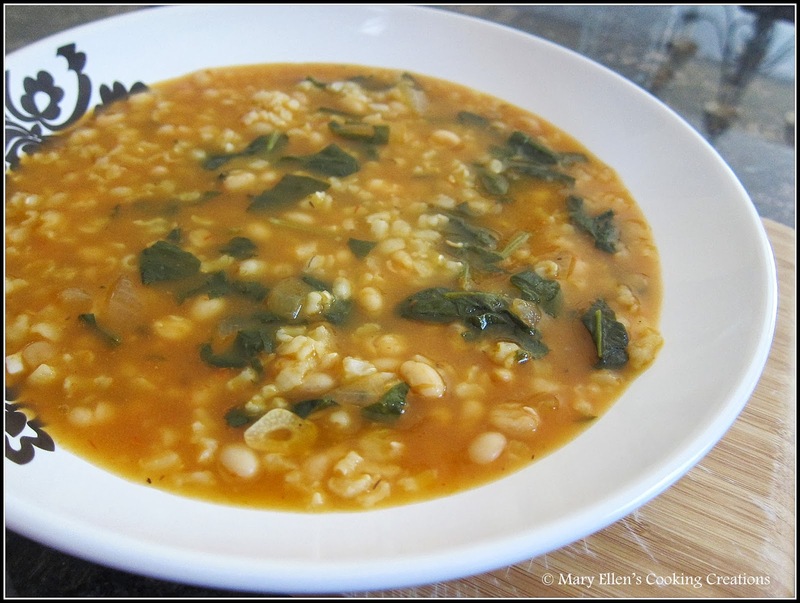 This soup was so hearty and filling, yet healthy. Normally I eat a sandwich along with soup for lunch, but I didn't need the sandwich after eating all the beans and rice. I ate it for 5 days in a row and never tired of it, and think this will be one that I will make again soon. Optional: the original recipe noted adding Parmesan cheese at the end, but I didn't feel it was necessary.